We received this wonderful letter and the news that Simon has now graduated as a doctor. We send all our congratulations! I hope you won’t mind me writing to you out of the blue to say thank you again for the operation you carried out on my son Simon on 6th July 2009; almost exactly 8 years ago. I’m sure you won’t recall the specifics (or indeed Simon!) but you did an emergency ileo-caecal resection to treat his active Crohn’s disease. He was 16 years old, and very thin and weak. We were all so very worried about him. His small bowel was blocked and the operation saved his life. The surgery was more difficult than you expected, but you managed to do it laparoscopically, avoiding the need for a colostomy, and it was a great success. He made a full and quick recovery and his Crohn’s has been in remission for 8 years. 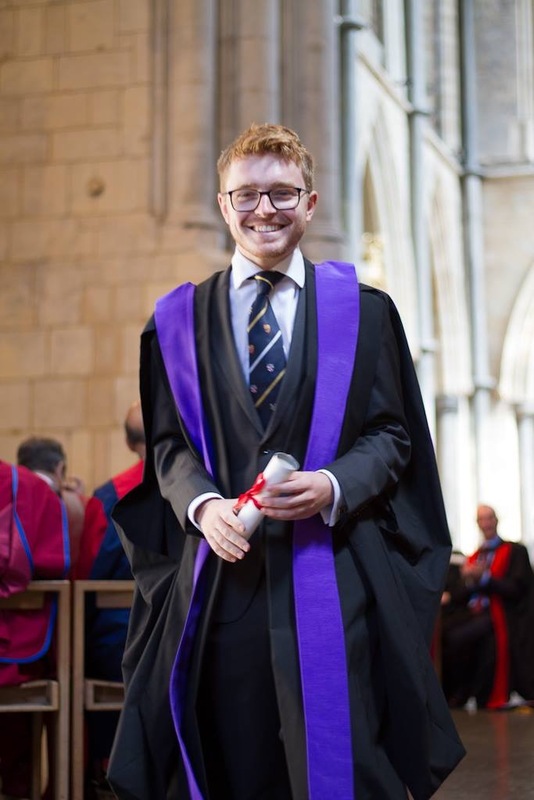 The reason for writing now, so long after the operation, is simply to say thank you again, and to tell you that Simon graduated last week as a doctor himself. He gained a Distinction from Kings College London, and is about to start work at Kings College Hospital. He hopes eventually to become a paediatrician. Please accept my heartfelt thanks for your great skill and kindness.